The other day me and Josh finally got some time to spend together. 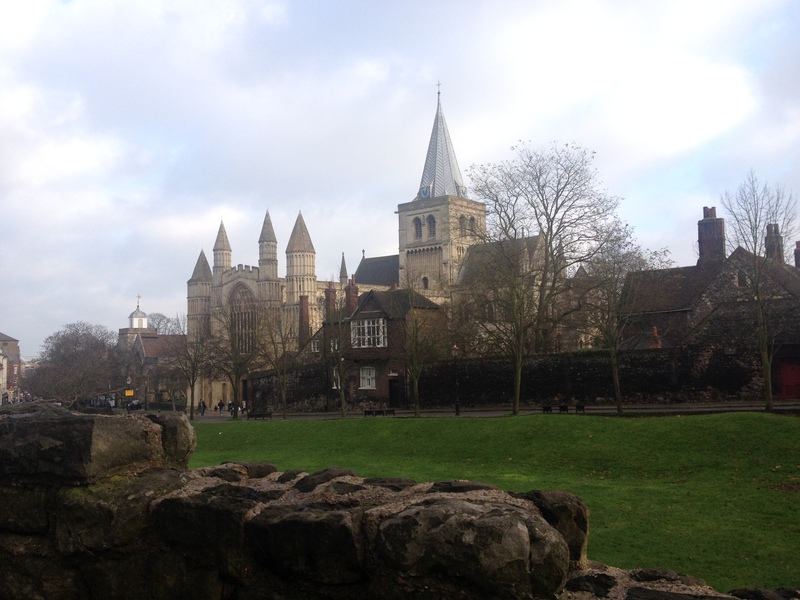 We love it in Rochester, particularly the castle, so I suggested we head down to check out the Christmas Market that is there at the weekends for the next few weeks, grab some lunch (obviously this is me we are talking about! :D) and take a look around! I was really impressed and we had such a nice time! 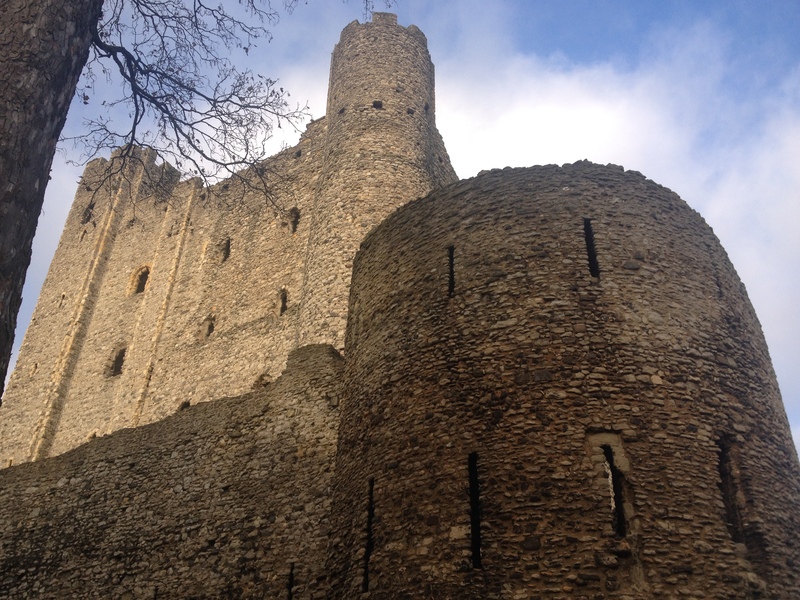 Everything seemed really well organised and really christmassy all under the amazing backdrop of Rochester Castle. Turns out they’re yum! This particular one may not have been that traditional because it had oozy melty cheese actually inside the sausage but either way it was great and I definitely liked it! It reminded me a lot (flavour wise) of frankfurters that you get in a tin (my ultimate comfort food is hot dog sandwiches….) 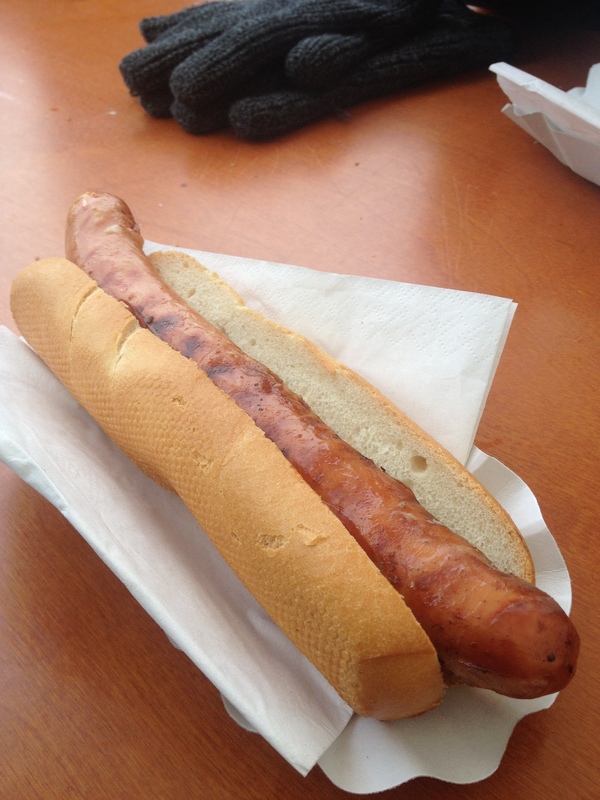 but the bratwurst were much better quality, meatier and generally much bigger. 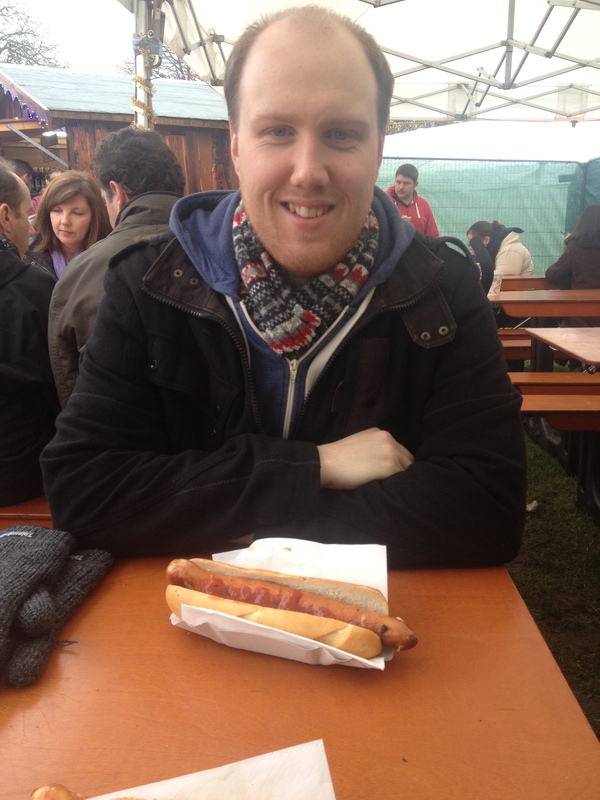 Josh has been skiing for years and so he’s tried them in Austria – even he said they were good! Can’t argue with that ^_^ We’re heading into London soon to visit winter wonderland. The wedding has taken over our lives at the moment but we are determined to get into the christmas spirit. I remember that they sell Curry Wurst and I really want to try it now I know what it actually is! We got to have a look around at all the stall and I’m really happy to say there were lots of local businesses there. I even found one stall that made jewellery out of spoons! Apparently it’s an old tradition to turn spoons into rings – but Carolyn Murray who makes them all, enjoyed it so much that she didn’t stop at rings and turned them into necklaces too! Carolyn was really passionate about what she did and you could tell she genuinely loved what she was doing. You can visit her website here where she has a gallery if you are interested in seeing what she does. We had a great day out a returned home to relax and drink hot chocolate. If you’re in the area the market is back again this weekend (the 6th-7th) which will be it’s final weekend so go and check it out before it’s gone! ← Mean Green Juice and the Pre-Wedding Tone up!